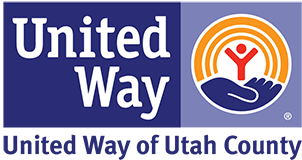 Every year, United Way's Sub for Santa program helps over 1,300 local families. These are families who have faced impossible medical challenges, single mothers just trying to get by, and college students far from home. 100% of your purchase of this Provo Christmas CD will help families like this. You can choose to have the CD mailed to you, or come into our office at 148 N. 100 W., Provo, UT to pick it up. Shipping charges are $2.50 for 1-5 CDs and $5.00 for 6 or more CDs. Please contact us if you'd like to purchase more than 25 CDs at 801-374-2588.